When the time comes for your construction company to buy new equipment, it’s important to take the time to research, plan, and finance accordingly for the best outcome. 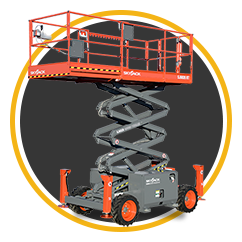 Acquiring a new boom lift, for example, requires you to consider a wide range of factors for the best fit. You may want an aerial lift that gets the job done effectively, but keep in mind the dimensional restrictions and unique jobsite conditions that can inform the practicality of your choice. One Source Equipment is here to help Texas outfits find the best solutions for their needs. We sell both new and used construction equipment in Throckmorton, helping clients in Midland, Odessa, and beyond. 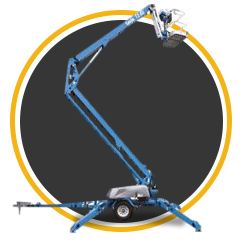 With years of experience in the industry and as a Genie Lift® authorized dealer, our company is here to help you find the best fit for your needs and your budget. It’s important to find the right machinery for your company’s needs. 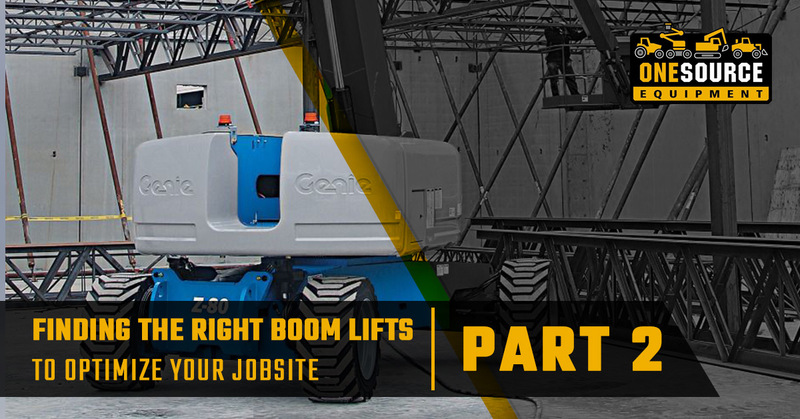 Today, we’ll continue to discuss considerations to help you find the right boom lift for the job. When you are done reading, be sure contact the One Source team to learn about our construction equipment for sale. If you can’t find what you need, don’t worry! Our experts will be able to find it for you. Beyond the limitations of your machine’s size and weight, several other factors come into play in regards to the jobsite. Every site is different, with inherent risks and challenges that need to be mitigated for the best outcome. From the terrain you are dealing with to the environmental concerns surrounding the site, many aspects play into what type of boom lift will best suit your needs. One of the biggest challenges of preparing for the job is determining all of the risks and concerns associated with the terrain you will be working on. There is a major difference between an interior slab as your platform and a muddy, untreated pad. Companies that require access to difficult places due to terrain restrictions can benefit from a 4×4 aerial lift that gets the job done in poor conditions. Terrain that is not level can also be tackled with active oscillating axles, providing stability and safety during use. On many sites, you will face some degree of restrictions in terms of workable times, soil types, and so on. One major concern that can affect the type of boom lift you need will be the emission requirements. In indoor applications, exhaust mitigation is a top concern. One Source Equipment can help you to find the equipment you need to work effectively within this restriction, including gas, diesel, electric, and hybrid boom lifts. The type of fuel you decide on will also affect the operations and downtime of your machines. 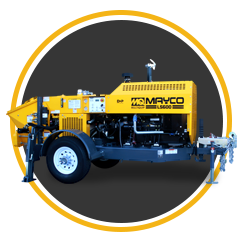 Liquid propane, for example, is an ideal fuel for 24-hour projects because there is no regular downtime involved. After all of these considerations, it’s important to remember that your top goal in every application should be safety. The reach of your articulating lift is only a small part of the equation. Based on your unique requirements, a large range of construction equipment and specialized add-ons are available. When buying used construction equipment, you should be sure to check that the machine is both safe and reliable. Minor failures can result in dangerous consequences, so be mindful when looking for trusted equipment providers. For hazardous applications, a wide range of safety additions are available through multiple carriers. Modern technology has made great strides in safety features, including devices that help to prevent entrapment, crushing, or falling. Work with your local construction equipment company to find the best fit for your needs, as working over certain heights and in restricted spaces can require a wide range of additional safety components. Additionally, your equipment will only be as safe as the operators controlling it. Part of purchasing a new piece of machinery is developing a safe and thorough plan for use. Training your team to properly utilize every feature on a new boom lift will help to enhance efficiency and safety on the site. If you’re looking for expert advice when shopping for construction equipment in the Throckmorton area, our team is here to help. We provide a wide range of scissor lifts, material lifts, and more to safely equip you for the job at hand. 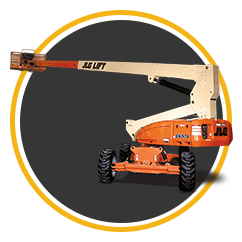 If you’re currently in need of a boom lift, be sure to contact us today for assistance! ©2018 One Source Equipment® | All rights reserved.